The Kalona RadioShack invites you to a special Friends and Family shopping event on Dec 6th. You can shop for all the electronic items you’ve been wanting such as HD TVs, digital music devices, digital cameras and accessories, wireless handsets, Bluetooth headsets, stereos, speakers, computer accessories, RC toys, and huge discounts on batteries! 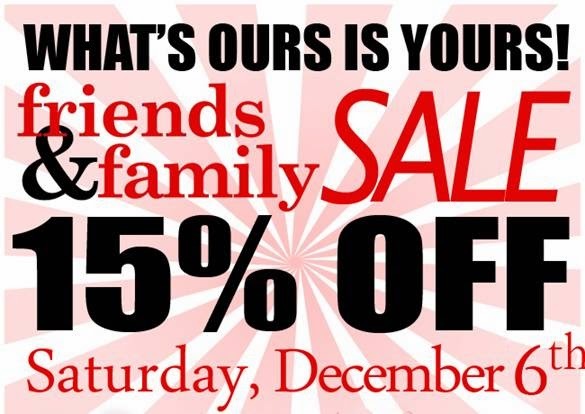 Saving you 15% off of regular retail pricing…..AWESOME time to SAVE!!! **Excludes iPads, iPods, Kindle Tablets, Gaming Products, i wireless phones/products. Discounts only apply to Radio Shack products. To participate: Print this page and bring it to Kalona RadioShack on Saturday, Dec. 6th or mention Friends and Family it will be your ticket to exclusive pricing!